This exquisitely furnished 5 bedroom, 7 bath home sleeps 12-14 and features an abundance of stone and timber, blending beautifully with its mountain surroundings. 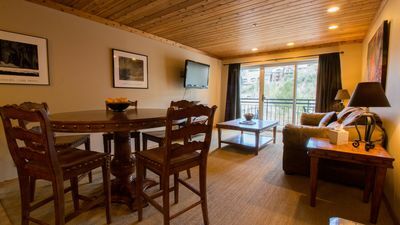 Special features include: living room with stone fireplace towering to the top of its cathedral ceiling, panoramic windows with both mountain and valley views, fully equipped gourmet kitchen with Sub Zero/Wolf appliances, basic spices and a variety of coffee choices provided for your stay. 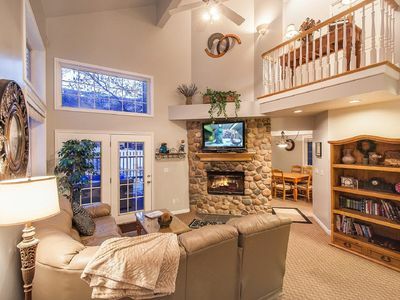 The cozy family room has a fireplace and 52” HD TV off kitchen, formal dining room, casual breakfast nook, office, two laundry sets, ski room with lockers, steam shower in master, 4 fireplaces, heated hydronic floors throughout the home warm your feet in every room and bathroom, bright and spacious finished basement with large picture windows, family room with pool table, security system, outdoor fire pit, hot tub (6), heated driveway and 3 car garage. Rooms have alarm clocks that charge your ipod or iphone down to the very details of hairdryers and sample shampoo and conditioner. The hot tub is a must after a long day of skiing, the Home Theater is better than going to the movies. 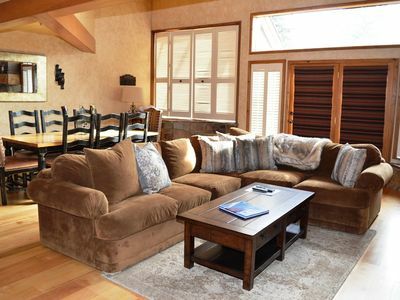 With plenty of room for friends or family your vacation couldn't be spent in a better place. If there aren't enough sleeping arrangements for your party then ask about cots! 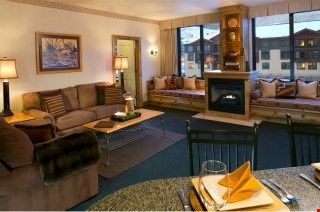 We have single cots available for $150 each per stay. Or an air mattress. There is plenty of room in the house to add these arrangements! 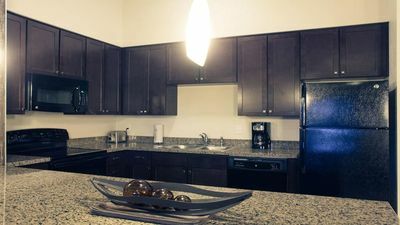 Entertainment provided via state-of-the-art Control 4 audio/video system, including 42” HD plasma TV’s in every bedroom and off kitchen, surround sound throughout house with distributed music, Direct TV, and wireless internet (Code provided upon check in). Enjoy movies in a spacious theater with HD projection, 130” full wall screen, starlit ceiling and leather reclining seats. Enjoy browsing the large collection of movies on the server and not having to even go out in the snow to rent a movie unless you want to. 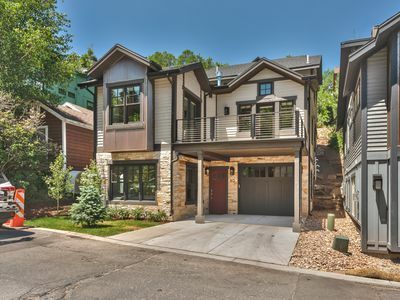 Every Season is amazing in Park City and this beautiful 7500 sq foot home is one of only 3 homes in the exclusive Dutch Draw Estates community on a private cul-de-sac. 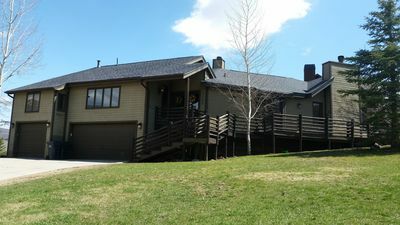 The house has direct access to the Sunrise ski lift, as well as abundant hiking and biking trails. 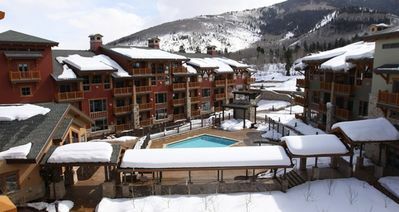 Just a short distance to The Canyons Village where you can access Park City Mountain resort. At Canyons Village one can enjoy a variety of shops restaurants, outdoor concerts, swimming, tennis and fitness facilities year round. 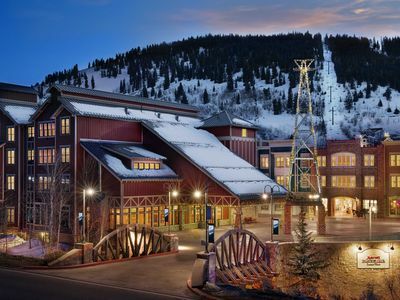 Park City Mountain resort is the Local and now international Favorite, it boasts to be the best and Largest resort in Utah. Now combined with what used to be Park City Mountain the new PARK CITY ski resort is the largest in the Country. 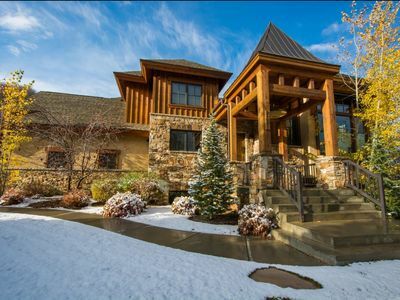 This home has prime ski access to the slopes with direct access to and from the mountain. The resort has ski runs to accommodate beginners up to expert skiers. If you're not a skier book ahead for summer as this home is nestled in the side of the mountain and your surrounded by forest. 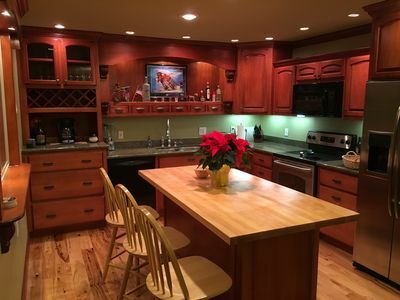 Summer time is a perfect time to make this home your vacation spot for any occasion. 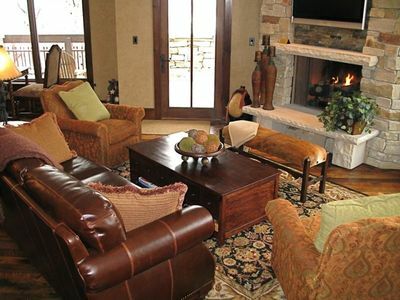 Sit out on the patio and enjoy the cool nights, or snuggle up to the fire pit. 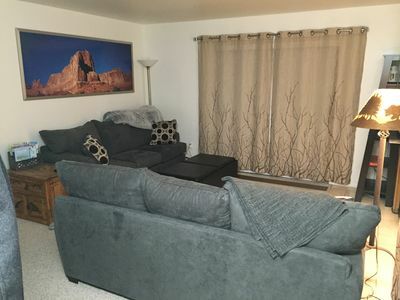 As one of the only homes in the neighborhood and Park City that has A/C you can visit any time during the summer and make sure to be comfortable. All this comes with my dedication to help make your vacation wonderful. A helpful packet of information emailed to you prior to your stay includes– restaurant, entertainment, directions, and local information. 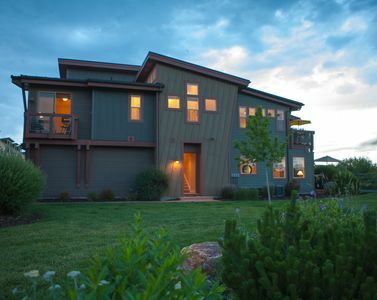 I'm also available during your stay to answer any questions you may have regarding the home or Park City. If I don't know I will do my best to find out. I've also created a beautiful instruction book for you at the home to explain the ski access and electronics. 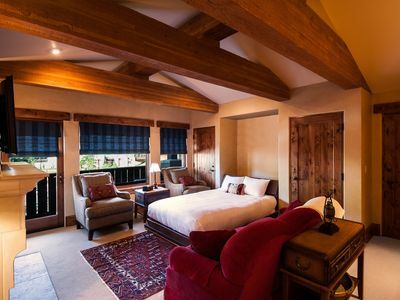 Enjoy the perfect combination of rustic design, luxurious appointments and pampering services. 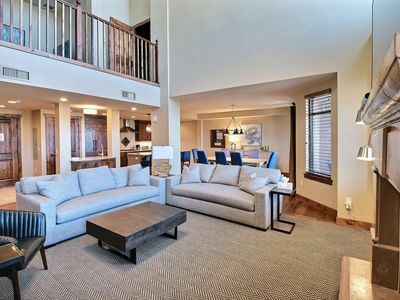 I look forward to hearing from you and look forward to making your Park City vacation wonderful. 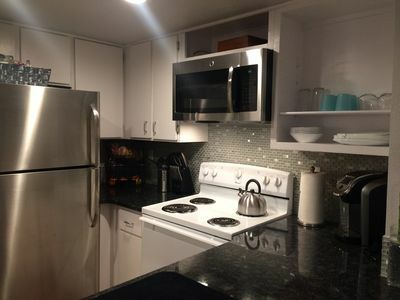 If this home is not available ask about my 2 other homes located very close! 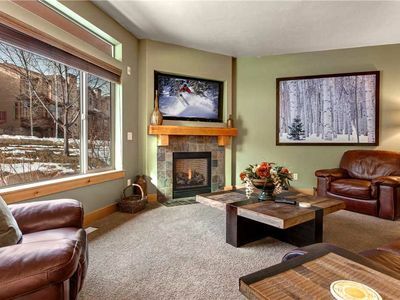 Park City Condo, Great All Season Get-away sleeps 10! 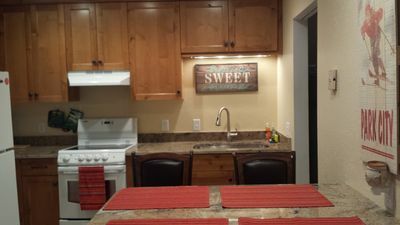 Developer's Pick - Best Location & Views In Newpark! Large End Unit! THE perfect Winter vacation home! 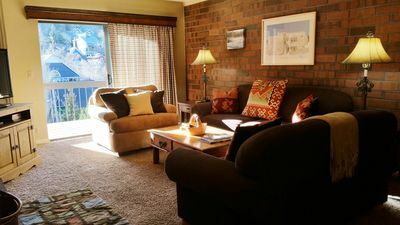 2BR Main St /Town Lift/Pool/Hot Tubs + Best Comfort, Service and Value! 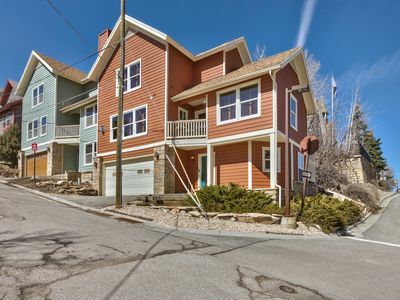 Brand New 6 Bedroom / 6.5 Bath House in Old Town - Steps to Main Street!